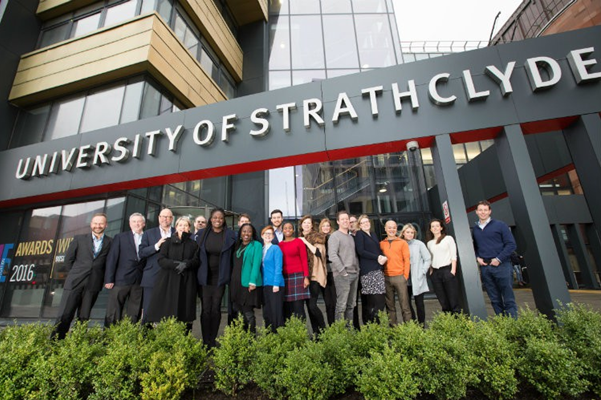 – The University of Strathclyde is a pioneering, internationally renowned academic organisation that shapes and develops the business minds of tomorrow. – Committed to providing a high-quality education and experience to all students, regardless of their background. Inspiring them to develop to their full potential, producing outstanding professional and enterprising people for industry, business and the professions. – In the 21st century, we are also Scotland’s third largest university with an international reputation and outlook, with students and staff from over 100 countries. – UK Entrepreneurial University of the Year 2013/14 by Times Higher Education (THE).